Mod Podge is an essential supply to have in your stash if you enjoy arts and crafts. You might, however, use it so often or in such big quantities that even the biggest bottle available may seem a little too small and pricey. If that sounds like something you’ve thought before or you find yourself in a position where you need Mod Podge in a hurry, you will be pleased to know that you can definitely make your own version at home using some of the products you already have in your crafts arsenal. In fact, you can not only make as much Mod Podge as you need at any time, but also at a fraction of the cost you’d pay for a branded bottle. 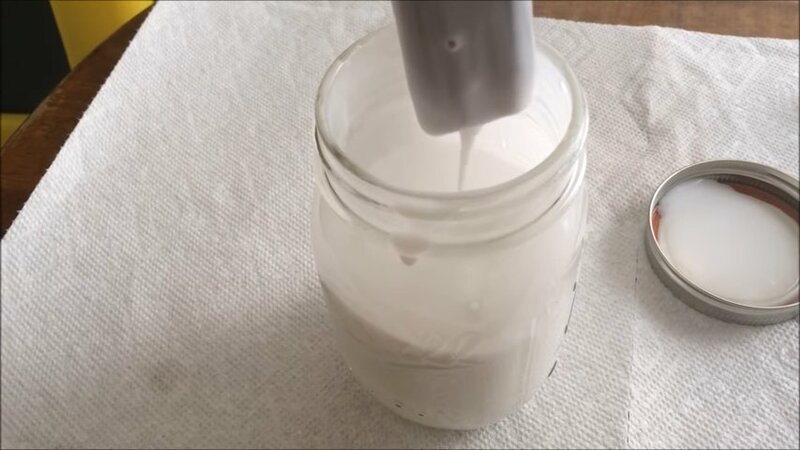 This YouTube video will show you how to make mod podge at home using just water, white glue and an empty container. You will be surprised and amazed at how easy this is to do. Just mix two parts of glue with one part of water, as instructed, and you shall never need to buy Mod Podge again!